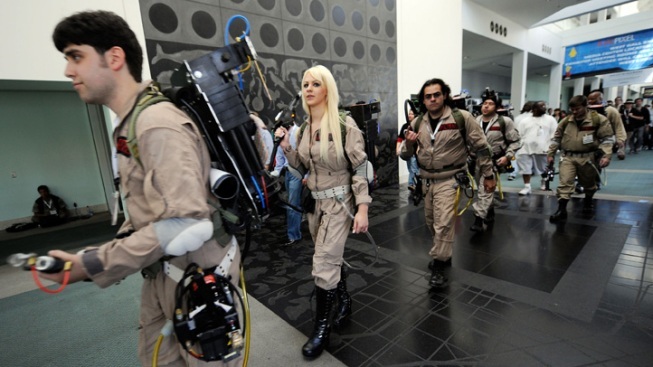 "Ghostbusters" returns to theaters for a limited run. There's something strange in your neighborhood: a 1984-era movie showing in theaters, in 2011. "Ghostbusters" will return to the big screen at more than 500 theaters across the country, including Regal Gallery Place in Chinatown, and several locations each in Maryland and Virginia. The flick will screen the next three Thursday nights: Oct. 13, 20 and 27. If you've never seen Stay Puft in all his massive glory, this is your chance. We're sure your HDTV is big and all... but not movie-screen big. Check theater locations here.